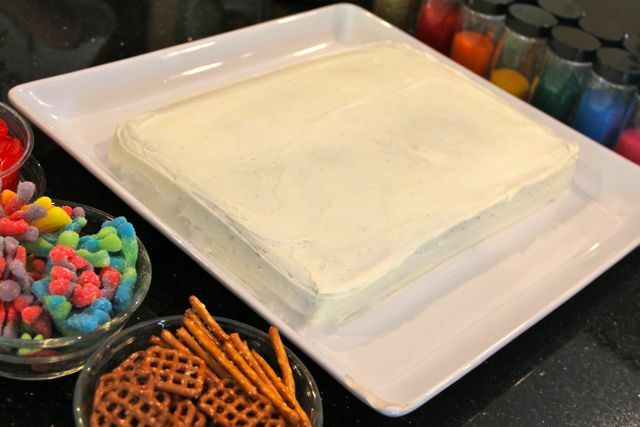 Earlier this month we made an easy and delicious Tres Leche cake as part of our Cinco de Mayo dinner. It would be a great option this coming weekend in honor of "Trinity Sunday!" Bake at 350 degrees F (175 degrees C) for 30 minutes. Pierce cake several times with a fork.Cool cake. Combine the skim milk, condensed milk, and evaporated milk together. Pour over the top of the cooled cake. Whip whipping cream, 1-2 tablespoons of sugar, and the remaining 1 teaspoon vanilla together until thick. Spread over the top of cake. Sprinkle top of cake with cinnamon. Be sure and keep cake refrigerated, enjoy! This cake would also be good for celebrating the feast of our Lady of Guadalupe and Saint Juan Diego. Come Holy Ghost, fill the hearts of Your faithful and kindle in them the fire of Your love. Send forth your Spirit and they shall be created. And You shall renew the face of the earth. Tomorrow we celebrate Pentecost Sunday! Since Pentecost if the Birthday of the Church, our family always celebrates with a birthday cake! 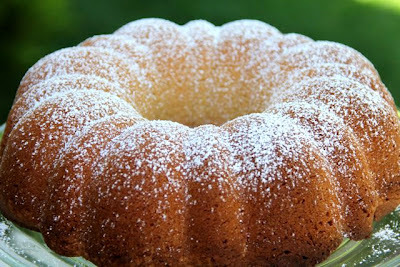 Our cake is a usually a white cake with white frosting since Pentecost is also known as Whitsunday. The large candle in center represents Christ our Light, who promised to send the Holy Ghost, and the 12 smaller white candles represent the 12 Apostle and the tongues of fire. 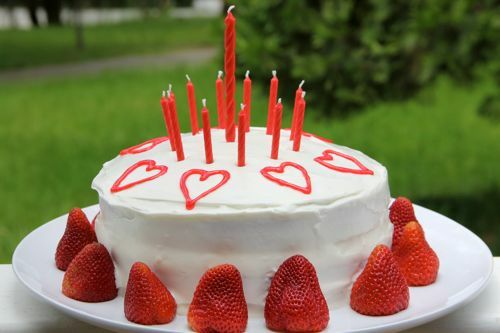 The 7 red hearts represent the 7 gifts of the Holy Ghost, and the 12 strawberries, placed around the cake, represent the 12 fruits of the Holy Ghost. After singing Happy Birthday to the Church, our kids blow out the candles with a "mighty wind." One year, when I was short on time, I just picked up a white Cheesecake from Costco, along with some Strawberries, which was quick and easy! Red Velvet would also work nicely, as Robina has previously suggested. Additional dessert ideas for Pentecost include Flames of Pentecost Cupcakes, Flaming Cupcakes for Pentecost, Pentecost Cupcakes, Pentecost Pie, and Holy Spirit Cheesecake. Catholic Icing shares a great idea for Pentecost Sundaes, and don't miss these Pentecost Parfaits at Catholic Mom! 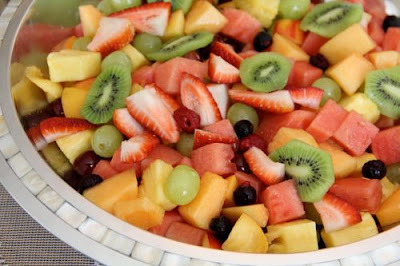 Last year our salad included: Kiwi, Red Raspberries, Black Raspberries, Strawberries, Watermelon, Red Grapes, Green Grapes, Cantaloupe, Pineapple, Peaches, Nectarines, and Apricots. Since Pentecost is also known as "Whitsunday," one tradition is to serve white foods. Since Pentecost is also known as "Whitsunday," and one tradition is to serve white foods. Some ideas include powdered sugar doughnuts with white hot chocolate in the morning, and an afternoon snack of milk and Macaroons, and Cornish Game Hens (representing the Dove), Pasta Alfredo (white), and Cauliflower (white) for dinnertime. You could also go with a "Red-Hot Theme" for dinner this year. Examples would include: fiery hot food, food cooked over flames, and any other food that is red. Perhaps even the Phoenix-Tailed Shrimp which happens to be one of the suggestions for the final Good Shepherd's Garden Party! Holy Spirit Crackers for Pentecost Sunday are yet another fun treat for Pentecost! Now it's your turn! Be sure to take pictures tomorrow to share in the link-up below. And for all of those that have been joining us and celebrating the Easter Season with The Garden of the Good Shepherd, we'd love to see pictures and hear about how you modified our Good Shepherd's Garden Party for your family, or incorporated any of our other ideas into your celebration. 1. Create a post about your Pentecost Sunday and/or Good Shepherd's Garden Party for the seventh week of Easter. 2. Using the linky below, enter the exact link to your post. 3. Add a link your post, referring back to this post so that others can find the party as well! 4. Be sure to visit the links and see how everyone else has been celebrating! I hope you have a blessed Pentecost Sunday! This beautiful baptism cake was submitted by Rose Ripplinger, who created it to celebrate her daughter's baptism. Thank you Rose! "We used blue piping gel to make a river, and surrounded it with candy rocks. The dove was made with white chocolate and a bird candy mold." 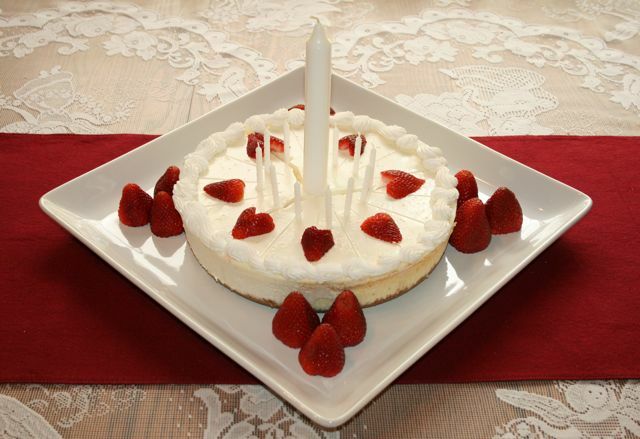 If you have a Baptism Cake you'd like share, or are looking for inspiration for an upcoming Baptism Reception, be sure to visit the Baptism Cake Link-up here at Catholic Cuisine! The sixth week of Easter has just passed, which leaves just one last week as we celebrate the Easter season using The Garden of the Good Shepherd: A Sticker Calendar to Count the Fifty Days of Easter . The Good Shepherd's Garden Party for week 6 was based on the theme "Oh! What a Beautiful City!" Since it falls during May this year, and since the symbols provided a perfect opportunity, Charlotte and I turned our weekly party into a "May Crowning!" ... and you can visit Shower of Roses to see the rest of our pictures! Now it's your turn! How did you and your family celebrate the fifth week of Easter? We'd love to see pictures and hear about how you modified our Good Shepherd's Garden Party for your family, or incorporated any of our other ideas (whether you choose daily activities or just one party for the week) into your celebration. We'd also love to see any pictures from your May Crowning or Ascension Celebrations as well! 1. Create a post about your Good Shepherd's Garden Party, May Crowning, or Ascension celebrations. 5. The linky will be open until next Monday when we add a new one for Week 7 and Pentecost. *Be sure to take a look at all of the Week Seven links from last year 2010 and 2011 for all sorts of great ideas! This afternoon our family had hoped to travel and attend The Ordination of Bishop Liam Cary, the priest that married my husband and I back in 1999. Unfortunately, my husband had to work today after all, and we had to cancel our travel plans. Thanks to the internet and live streaming, we will still be able to watch the Ordination Mass online! To celebrate this special occasion we decided to bake a "Bishop's Cake!" This is an old fashioned pound cake, which would also be suitable to make for any of the feasts of bishop saints. Preheat oven to 350˚ F. Grease and flour a 10-inch bundt pan. Cream the butter and sugar gradually in mixing bowl until fluffy. Add the sifted flour to the butter mixture. Add the lemon juice and vanilla, stir well. Add the eggs one at a time, mixing well after each addition. Cool in pan for 10 minutes. Remove from pan and cool completely. Dust with powdered sugar if desired. Note: As a variation, sprinkle crushed blanched almonds over the top of the cake right before putting it in the oven to bake. This past week we celebrated the fifth week of the Easter season with The Garden of the Good Shepherd: A Sticker Calendar to Count the Fifty Days of Easter and a Good Shepherd's Garden Party based on the theme "The Gardener Plants Paradise." 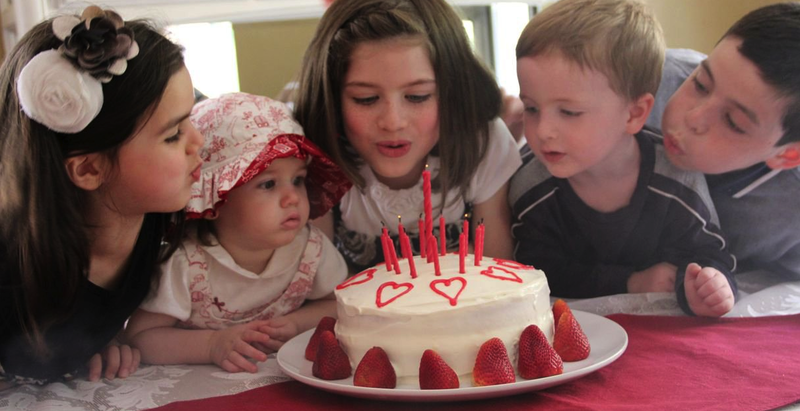 Charlotte just posted pictures from their 5th Good Shepherd's Garden Party. You can click on over to Waltzing Matilda to see all of her pictures, including her darling Owl Cake and these beautiful Roses and Lilies! 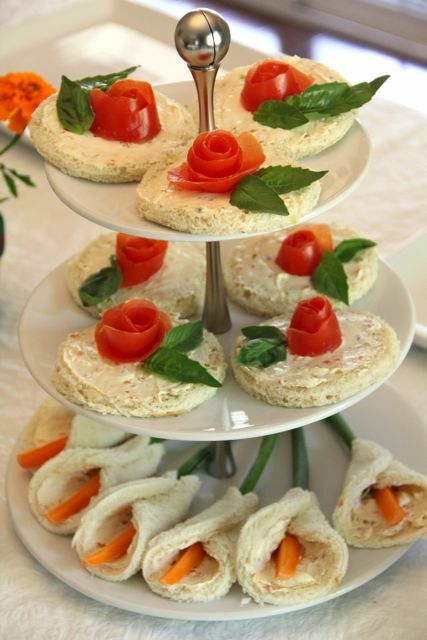 This year, I ended up making tea sandwiches for our Roses and Lilies and a fun fruit platter for the Palm Tree! You can see the rest of our pictures over at Shower of Roses. Now it's your turn! How did you and your family celebrate the fifth week of Easter? We'd love to see pictures and hear about how you modified our Good Shepherd's Garden Party for your family, or incorporated any of our other ideas (whether you choose daily activities or just one party for the week) into your celebration. We'd also love to see any food related posts for Mother's Day or the Feast of Our Lady of Fatima! 1. 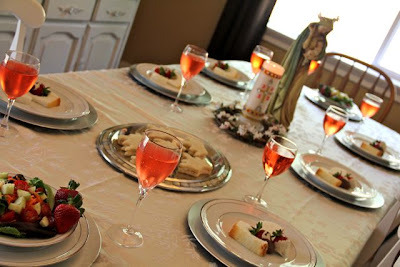 Create a post about your Good Shepherd's Garden Party or activities for the fifth week of Easter and/or Mother's Day. 5. The linky will be open until next Monday when we add a new one for Week 6. *Be sure to take a look at all of the Week Six links from last year 2010 and 2011 for all sorts of great ideas! The following post was submitted by Islander at HI Cookery, in honor of today's feast of St. Damien of Molokai, Hawaii's patron saint! We took a an inter-island trip with Islander’s parents and brother a few years ago when her Daddy turned 70. The family flew on a small plane from Oahu to Molokai to see where Hawaii’s recently canonized St. Damien served those who were afflicted with Hansen’s disease (leprosy). Damien de Veuster came to Hawaii from Belgium in 1864 and was ordained a priest in Honolulu. A few years later, on May 10, 1873, Father Damien volunteered to minister to the people with leprosy who were exiled to Kalaupapa and Kalawao on the island of Molokai. He himself contracted the disease and, on April 15, 1889, died among those he lovingly served in the name of Christ. During our family’s private pilgrimage to Kalaupapa and Kalawao, we were able to personally place floral lei at St. Damien’s gravesite on the grounds of St. Philomena Church that he built. We also toured the other solemn and historical areas where Blessed Mother Marianne Cope and Brother Joseph Dutton worked to support St. Damien’s mission to help the patients physically and spiritually. In honor of St. Damien of Molokai, Hawaii’s patron saint, we made Molokai sweet potato palau. 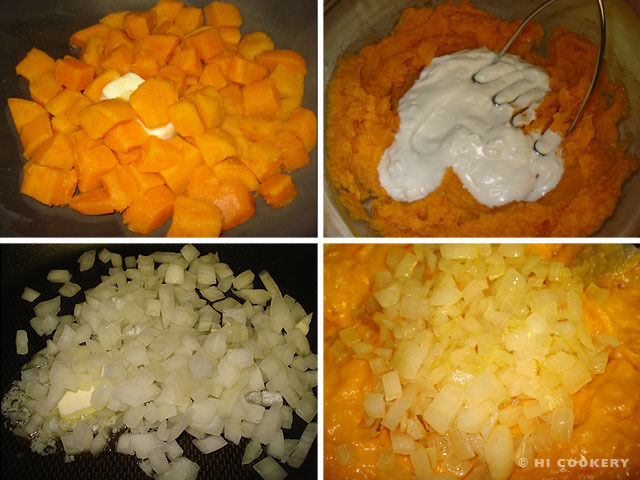 As we do not have Hawaiian ingredients readily available on the mainland, such as purple Molokai sweet potato and Maui onions, we needed to make some substitutions for this side dish. 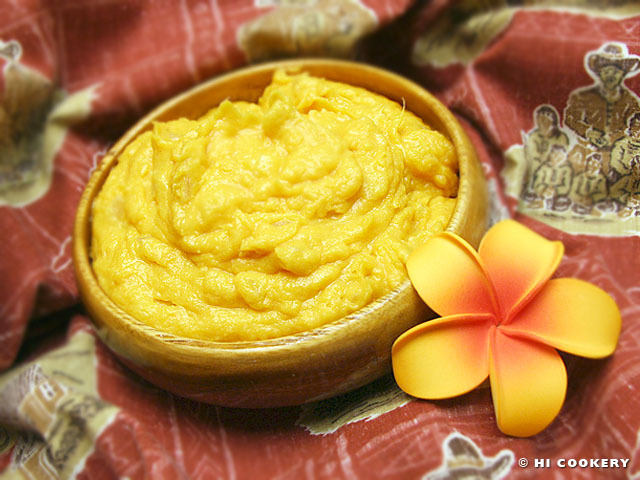 Serve sweet potato palau—Molokai or mainland style—on the Feast Day of St. Damien. Aloha! Wash and peel the sweet potatoes. Dice into 2-inch cubes. Place in a large pot and cover with water. Simmer until tender, about 15-20 minutes. Drain the sweet potatoes. 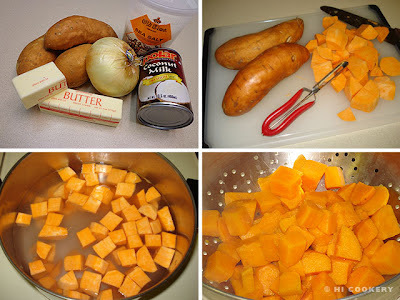 Place the sweet potatoes in a large bowl with ½ cup (1 stick) of butter. The heat from the sweet potatoes should melt the butter. Stir in the the coconut milk and 3 tablespoons of butter. Mash until smooth. Set aside. In a skillet, saute the onions with the remaining 1 tablespoon of butter. Cook over medium heat until the onions are soft and translucent. 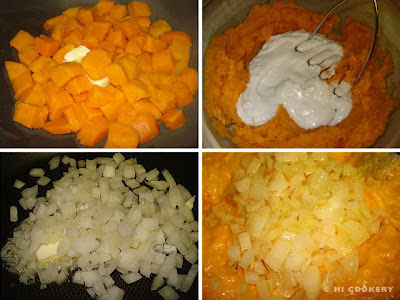 Add the cooked onions to the mashed sweet potatoes. Season with salt. Stir well or whip with a hand mixer until creamy. 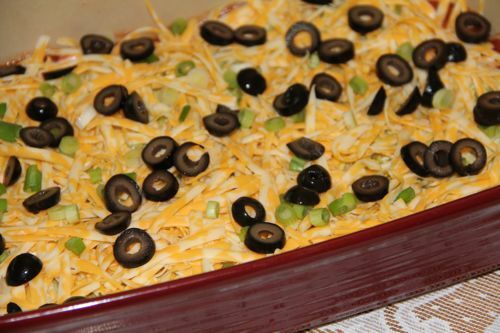 Serve hot as a side dish. Palau is a traditional Hawaiian-style pudding made of sweet potatoes and coconut cream, which inspired the chef to adapt the cooking method for a savory side dish. It has a pudding-like texture similar to whipped sweet potatoes. St. Damien was buried on Molokai but his body was exhumed in 1936 and brought back to Belgium, his home country and final resting place. Remains of his right hand were returned to Hawaii and re-interred in his original grave on the grounds of St. Philomena Church in Molokai. His relic (foot bone fragment) travels around the world for veneration. St. Damien was canonized on October 11, 2009. 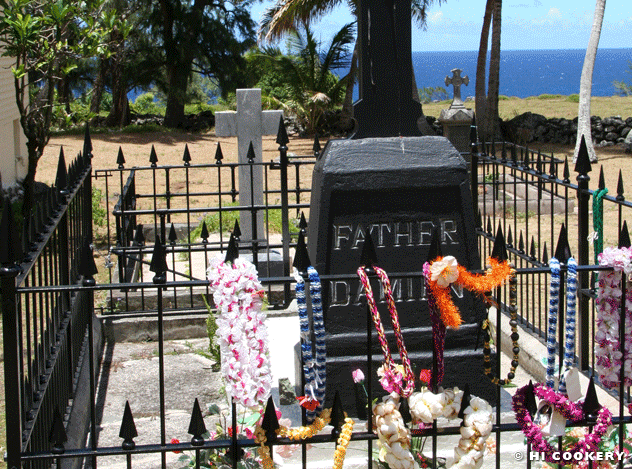 In addition to observing his feast day on May 10, Hawaii also celebrates St. Damien’s Day on April 15. The background fabric in the final food photo above is from Highlander’s aloha shirt showing motifs of St. Damien. We are still celebrating the 50 days of Easter with The Garden of the Good Shepherd , and our fourth Garden Party is based on the theme "The Wind and Sea Obey Him." I think next year Charlotte and I are going to need to come up with a compilation of all the ideas for each week. There are so many great ways to tie in the weekly themes with food, and we just love seeing everyone's creativity! Charlotte and I both made modifications to the menu again this week. Once again Charlotte made her fun Leviathan Hot Dogs with Bun Boats, Pretzel Masts and Cheese Sails, in addition to this Blue Jell-O Sea with Fish and more! Click on over to her blog to see the rest of her pictures. My children enjoyed decorating a cake with the symbols for this week while my husband barbecued. You can see a few pictures and the completed cake over at Shower of Roses! Now it's your turn! How did you and your family celebrate the fourth week of Easter? We'd love to see pictures and hear about how you modified our Good Shepherd's Garden Party for your family, or incorporated any of our other ideas (whether you choose daily activities or just one party for the week) into your celebration. 1. 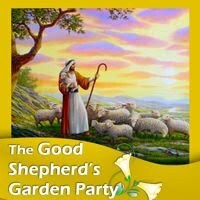 Create a post about your Good Shepherd's Garden Party or activities for the fourth week of Easter. 5. The linky will be open until next Monday when we add a new one for Week 5. This post was written by past Catholic Cuisine contributor Amy. So here is the deal. I don't really like fish. Ok, I like fish, but only the expensive stuff and when you are feeding 11 people expensive fish is not on the menu. So generally when it comes to meatless Fridays we eat vegetarian. 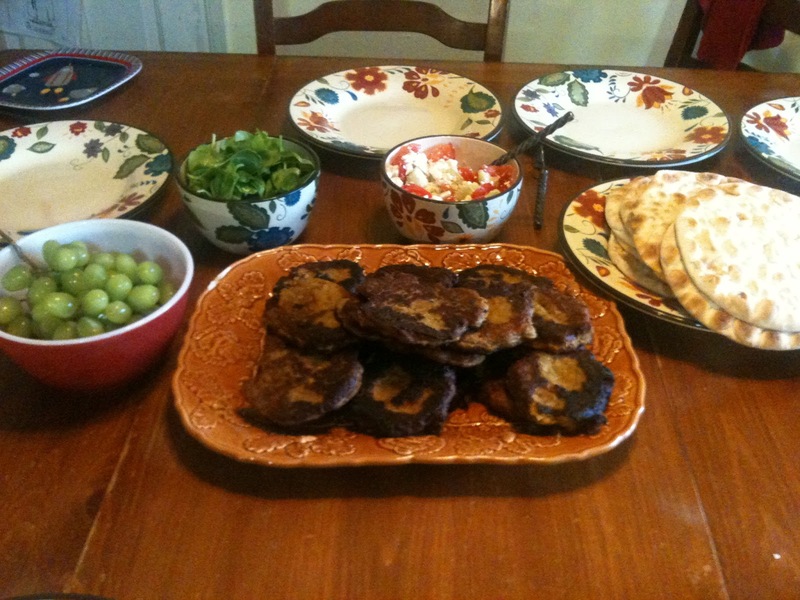 This would also be am excellent meal for any Middle Eastern or Greek saint! Especially, Saint George, etc. One of our new favorites is falafel. My husband actually likes it so much he requested it for a special family meal! This recipe is half what I make, so it will serve about 6 people. Cook onions and red pepper in olive oil. Remove from heat. In bowl mix garbanzo beans, eggs, onion and red peppers. Add dry ingredients and mix well. Add to food processor and pulse till you smooth. Spoon about a large spoonful of falafel mixture into about a half inch of hot olive oil in a skillet. 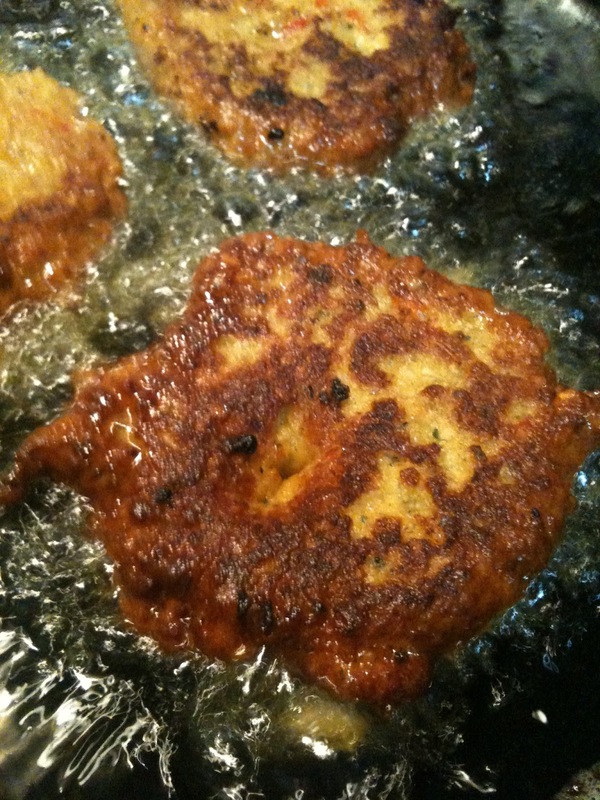 This is kind of sticky so you may have to use your spoon to smooth them out into patty form. Flip after you notice the edges turning brown. When cooked serve with tzatziki sauce, spinach (or lettuce), chopped tomatoes, chopped cucumbers, and feta cheese on pita bread. 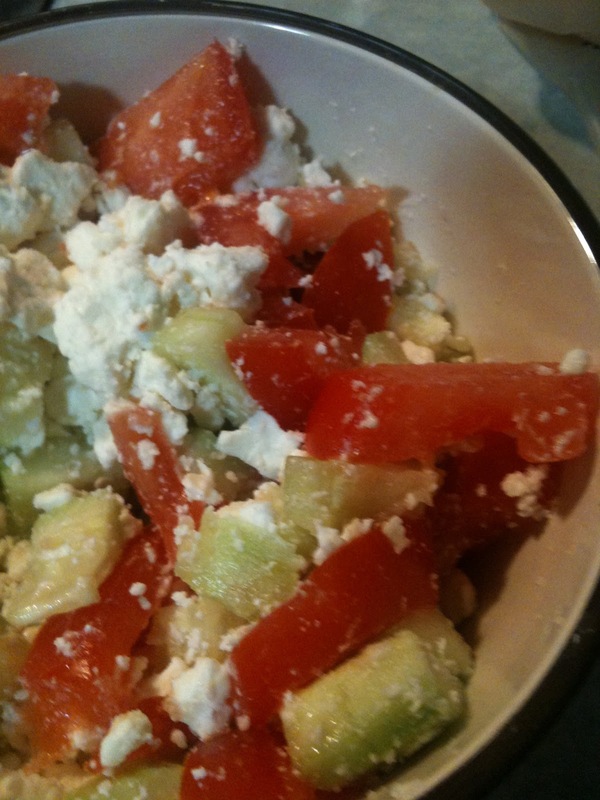 I usually mix my cucumbers, tomatoes, and feta together. It is a yummy mix for all kinds of things! Mix together! That easy and quite yummy! Taste it first to see if you want to add more or less seasoning.